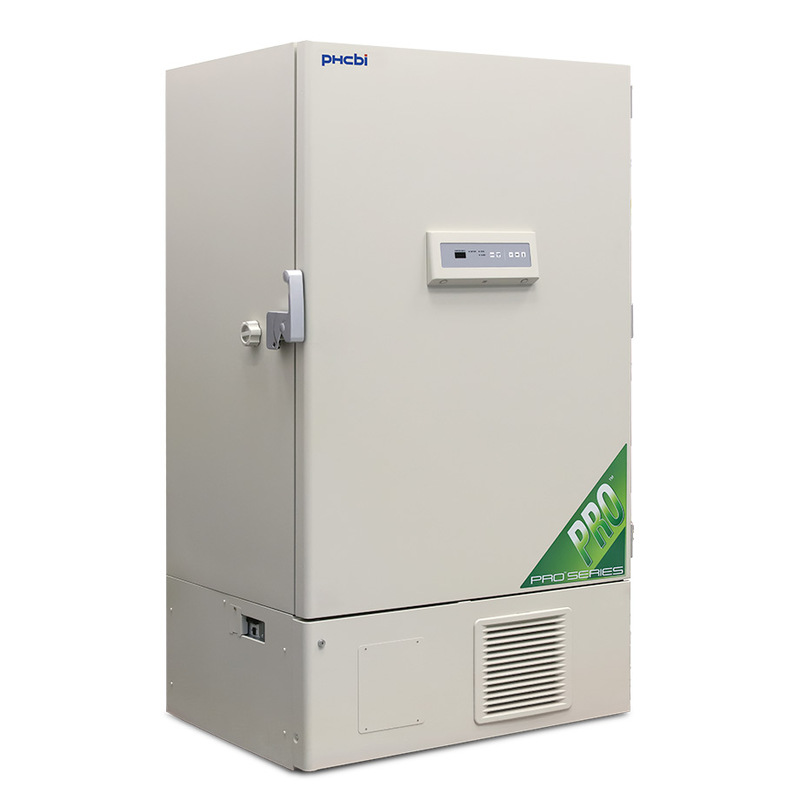 The PRO Series uses high density, foamed-in-place polyurethane insulation and sealing inner doors to maintain uniform temperatures throughout the ultra-low temp freezer, protecting the integrity of your samples. With insulated sealing inner doors that latch, the PRO Series maintains the interior temperature even if the outer door remains open. This design provides superior insulation that maintains set temperature even in high ambient conditions. Energy efficiency in PRO Series freezers is achieved through balanced temperature performance and power management. The purpose built, PHC designed ultra-low refrigeration compressor offers maximum reliability. The PRO Series' refrigeration compressor is specifically designed for ultra-low applications, allowing it to handle more strenuous day-to-day temperature recovery. The centrally located touch panel on the PRO Series outer door allows for easy eye-level configuration of key settings, such as temperature, alarms, and diagnostics allowing your lab to get setup quickly and efficiently. The PRO Series offers users time-tested technology that has provided safe long-term storage of high-valued samples. Scientists rely on PHC's proven engineering and design to protect their research. 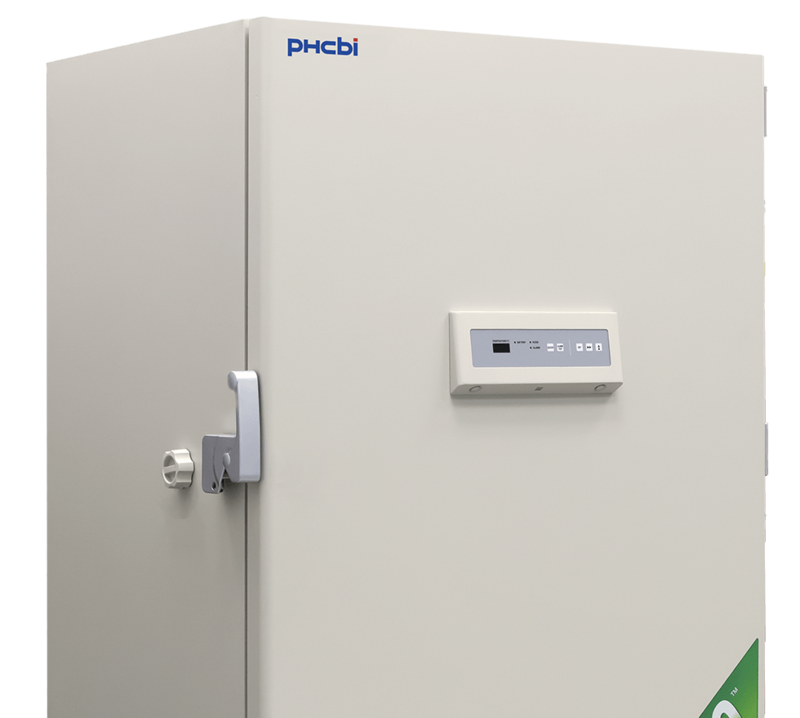 The PHCbi PRO Series ultra-low temperature freezers deliver uniform temperatures with increased cooling capacity. The high performance refrigeration system with foamed-in-place cabinet insulation maximizes interior temperature uniformity and protects against fluctuating ambient temperatures. 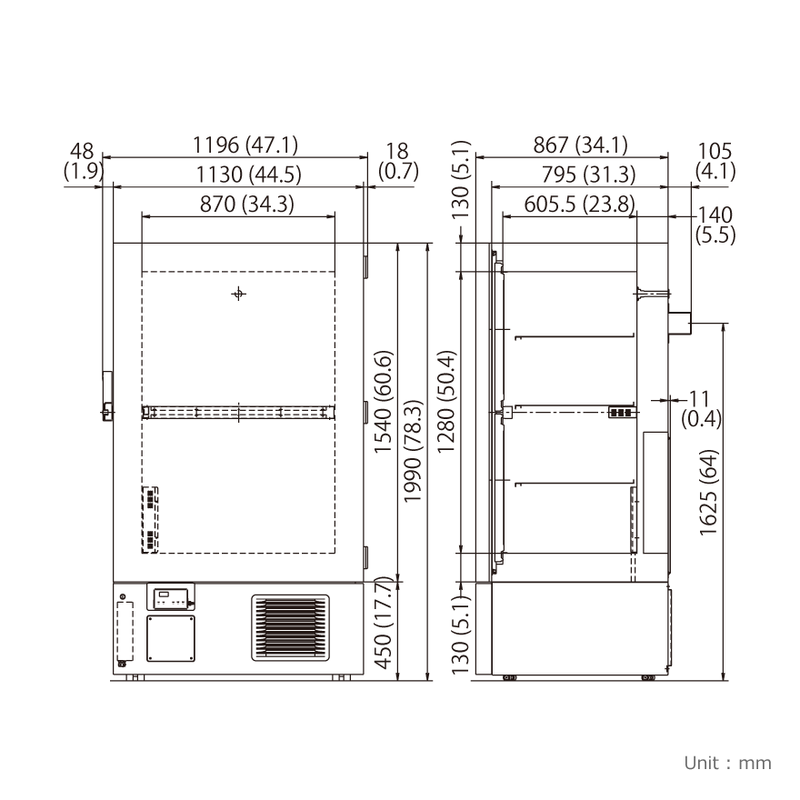 The MDF-U7586SC-PA -86°C Ultra-Low Temp Freezer provides excellent performance reliability, superior temperature uniformity, and an optimized digital touchpad allowing for easy eye-level configuration of key settings.